Premier invisalign dentist serving patients from Chalfont, Montgomeryville, Doylestown, Warrington, Upper Gwynedd, Lower Gwynedd, Lansdale, Horsham, and surrounding. Remember the days of embarrassing headgear and mouths full of metal? Well those days are long gone now with breakthrough technology that will let you smile the way you have always wanted. Invisalign in Chalfont is the clear braces alternative to traditional metal braces. 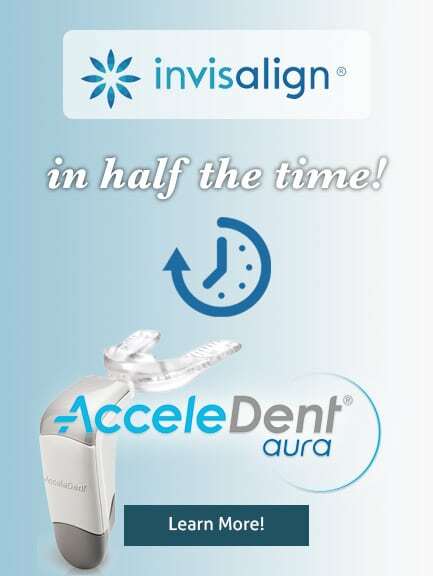 These invisible aligners give you the freedom and confidence you deserve. No more embarrassment about being older and needing braces. No more worrying about getting food stuck in your braces. Because they are virtually invisible, Invisalign can give you the confidence to speak and smile with certainty. Why should I choose Chalfont Invisalign clear braces? Have you wondered what your smile will look like after your treatment with Invisalign clear braces? At Highpoint Dental Medicine we only use the latest technology that allows us to demonstrate what your smile will look like with the Invisalign Outcome Simulator. By using the iTero intraoral camera it makes it easy to show our patients the benefits of Invisalign treament. What does this mean to you? For more information check out this video here. Everyone knows that a great smile is an important social asset. Dr. Wilk, Dr. Zurek, Dr. Titlebaum, and our team of top cosmetic dentists in Chalfont is committed to providing you with the healthy, beautiful smile you have always dreamed of. We take pride in offering the latest advancements in cosmetic dentistry, including Invisalign in Chalfont, to brighten, enhance, repair and straighten your teeth. Proudly serving Chalfont, North Wales, Montgomeryville, Doylestown, Warrington, Lansdale, Horsham, and surrounding areas!